It’s true. I don’t use cake mixes very often. Making a cake from scratch is SO easy, and I always have the ingredients on hand. But a couple weeks ago I was cleaning out my pantry and found a box of Duncan Hines French vanilla Cake mix. Every once in a while I’ll grab a few boxes from the store and keep them in my pantry. You never know when they might come in handy. Anyways, when I found the box of mix I immediately knew I wanted to make a poke cake. Poke Cakes seem to be all the rage lately. You’ll see them popping on Pinterest every time you log in. No joke. 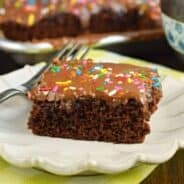 If you’ve never made a poke cake before, you’ll be shocked how many varieties there are out there! Some recipes call for sweetened condensed milk, some call for gelatin, and some call for pudding. 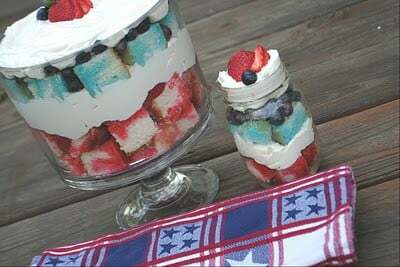 Today’s recipe is a pudding version. 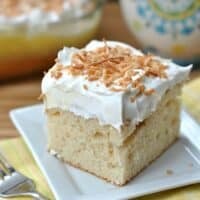 I paired the French Vanilla Cake with a box of Instant Coconut Cream Pudding. And, because I can eat it like candy, I toasted up some sweetened, shredded coconut for garnish. I know many of you LOVE the convenience. Love the price. Love the flavor. I had one in my pantry that needed to be used. Oh, and there’s this wonderful holiday this weekend, EASTER, that needs to be celebrated. 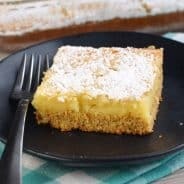 And a delicious Coconut Pudding Cake is the perfect way to impress your family and friends, and still enjoy the holiday without stressing about your menu. You can even make this cake the night before! ENJOY! Prepare cake in a 13x9 according to package directions. Remove from oven and poke holes all over cake using the handle of a wooden spoon or a wooden skewer. In a mixing bowl, whip together the pudding mix and milk. Immediately pour over warm cake, using a spatula to spread it. Cover with plastic wrap and refrigerate for 3 hours (or overnight). 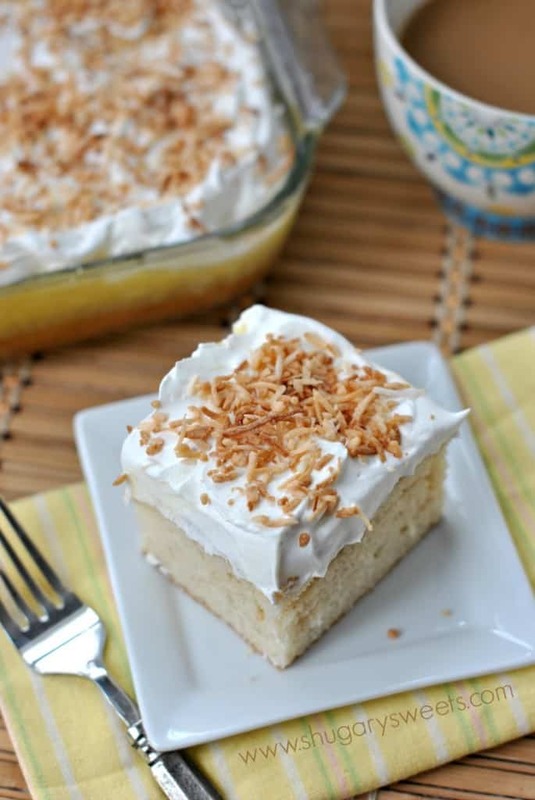 When ready to serve, top with Cool whip and toasted coconut. Serve and enjoy! LOVE Poke Cakes? Here are a few of my favorites…. Strawberry JELL-O Poke Cake…a delicious gelatin version, so refreshing and tasty! Oh my gosh, a broken dishwasher would be my worst nightmare! I feel your pain. 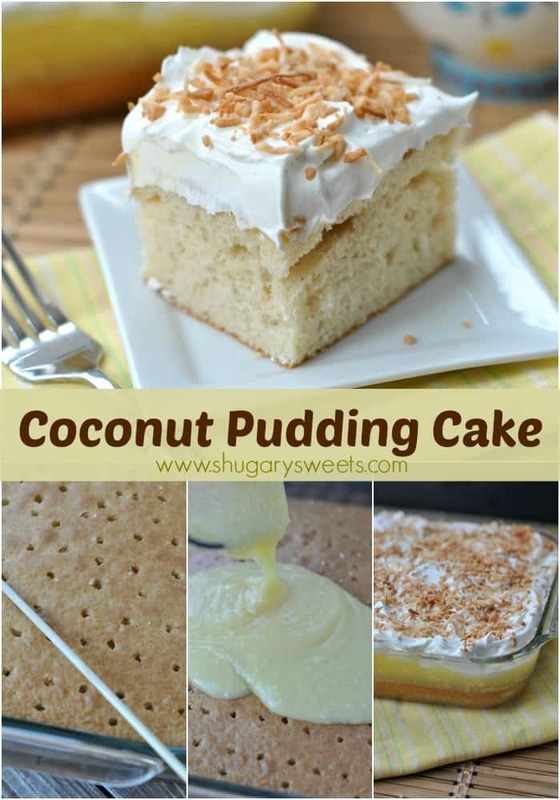 I love this Coconut Pudding Cake! The French vanilla box mix sounds like a perfect addition! I hope you have a wonderful Easter with your family! Oooo, I think I have a box of Duncan Hines yellow cake mix somewhere in the pantry! 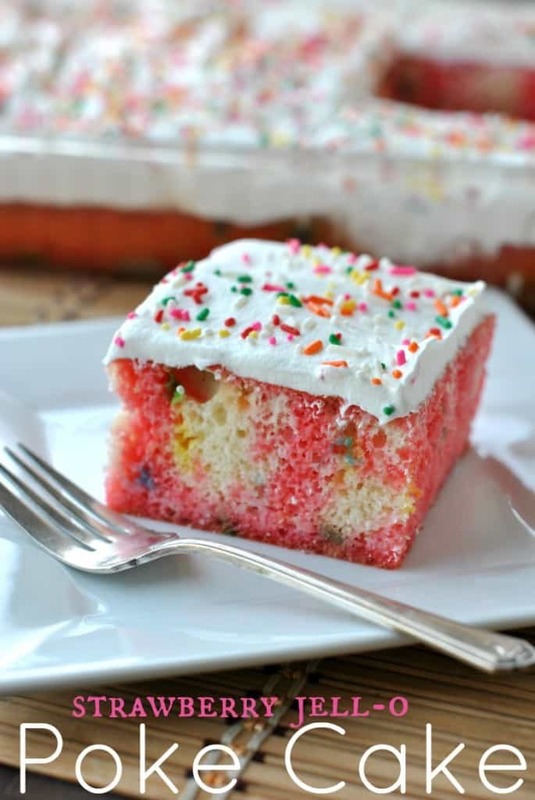 Yummm, I’ve got to try this cake! Anytime! Have a great weekend!! 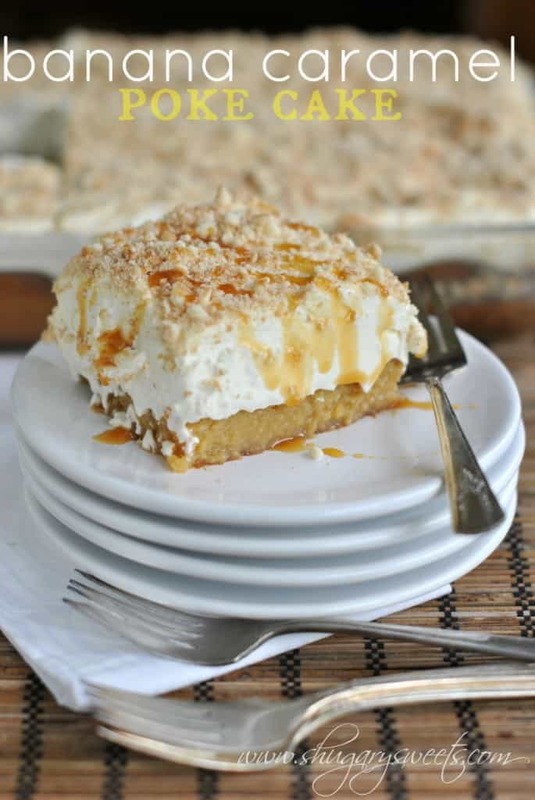 I never had Coconut Pudding Cake, It looks real good and looking at the ingredients and the Instructions don’t look to hard to make, The Poke Cake Strawberry,Banana Caramel Cake, The Jell-o cheesecake all look like delicious desserts. This looks so good and delicious. It reminds me of something that would be served after church and the recipe would be found in the old school cookbook. Lovin’ it! 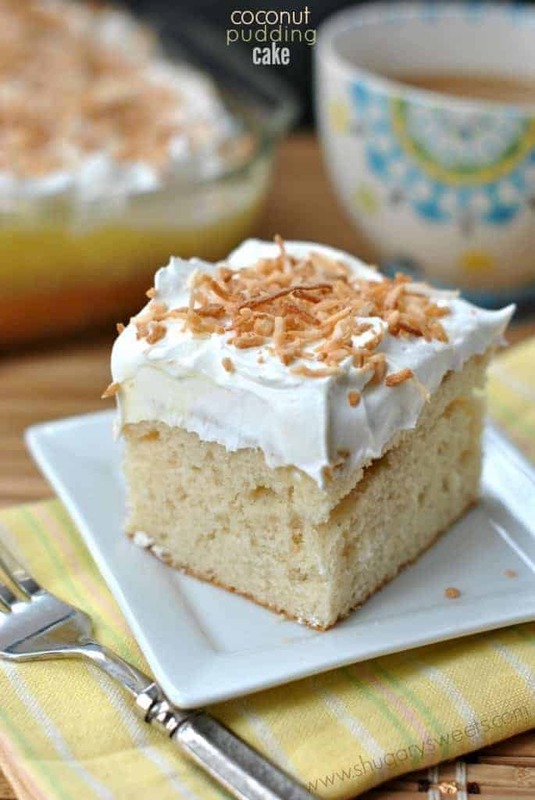 Oooooh so creamy and coconutty and yummy!!! 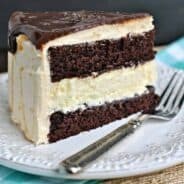 I have yet to make a poke cake, and I believe that needs to change. I adore coconut. This looks so moist. Pinned! I definitely think that needs to change! Thanks for pinning Jennie! Oh man broken dishwasher is the worst. >_< But I love this poke cake! 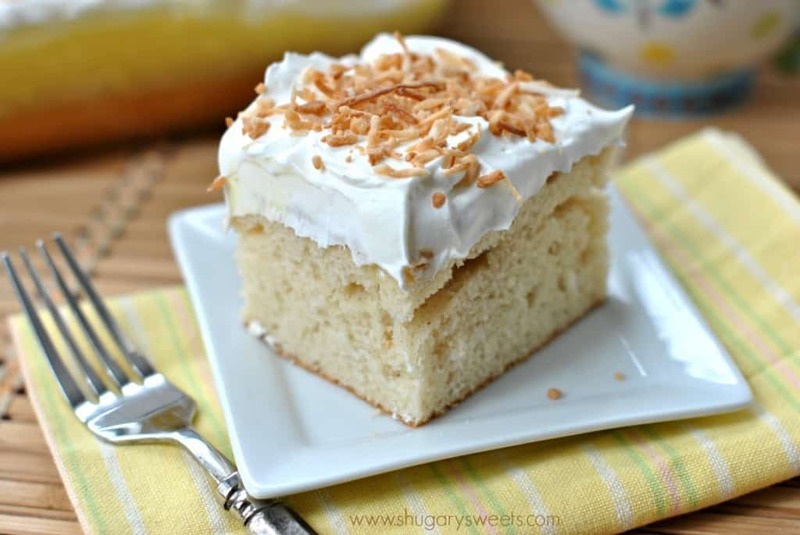 Yay for coconut, yay for poke cake, yay for less dishes to clean! Get well soon dishwasher – you are a food bloggers best friend! Actually, I take that back, this cake is looking like my new best friend. You had me at coconut. And then pudding. So so good! Pinned! Thank you for the recipe. It looks yummy.i have to try it just wondering from where you get the instant coconut pudding.never seen in the Canadian store. I used an instant coconut pudding mix. 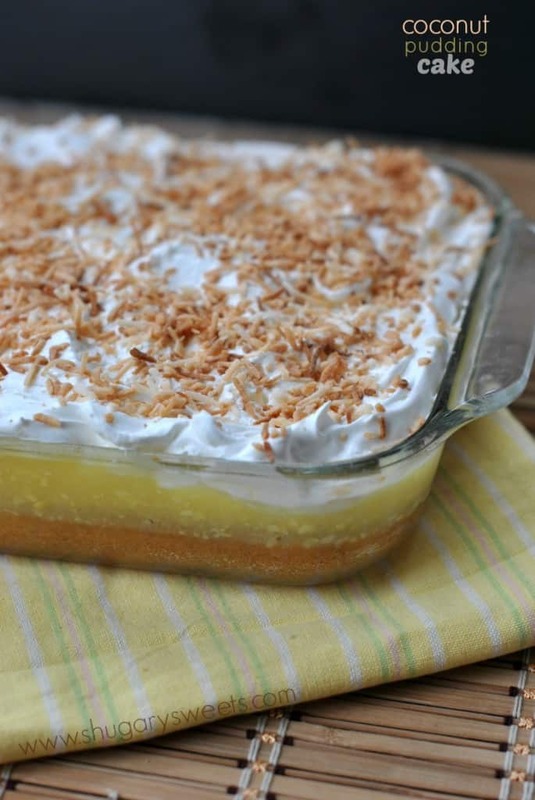 This looks yummy, but I ve never seen coconut pudding, where do you find it? I have found it at Meijer and walmart. Good luck! I made this cake tonight, and it is incredibly delicious! My only problem was that I didn’t make big enough holes for the pudding. I’ve never made a poke cake before, so, at the age of 72, I still have a lot to learn. Someone should turn this into a “Little Debbie’s” type product, and market it, and become a very rich person. Thank you so much for sharing this recipe! A gazillion STARS!!!! !